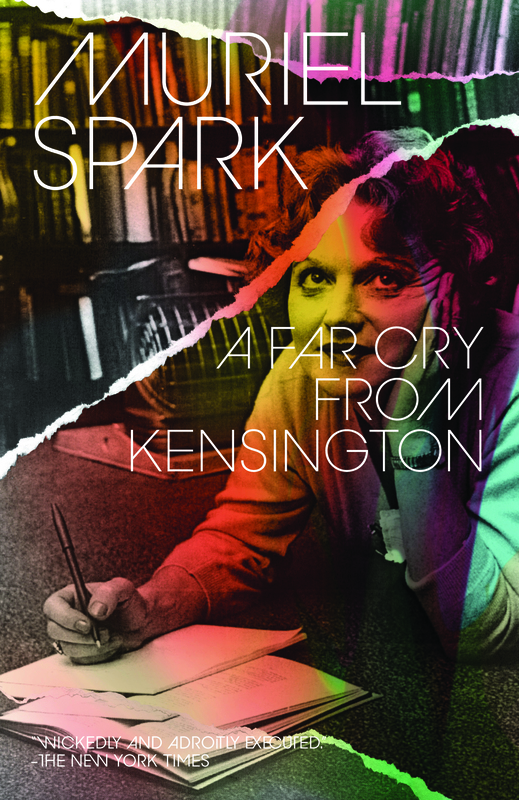 Nancy Hawkins, the majestic narrator of A Far Cry From Kensington, takes us by the hand and leads us back to her threadbare years in postwar London, where she spent her days working for a mad, near-bankrupt publisher (“of very good books”) and her nights dispensing advice at her small South Kensington boarding house. She found evil everywhere: shady literary doings and a deadly enemy; anonymous letters; blackmail; and suicide. Muriel Spark was a major 20th-century writer, an extraordinary and unique talent: her gifts were unusual — a piercing eye; an acute ear; an incisive, often caustic wit; a voice so distinctive; and a style so inimitable. Outstanding: an effortless, translucent grasp on the spirit of the period. A 1950s Kensington of shabby-genteel bedsitters, espresso bars—irradiated with the sudden glows of lyricism she can so beautifully effect. The divine Spark is shining at her brightest—pure delight. Far Cry is, among other things, a comedy that holds a tragedy as an egg-cup holds an egg.